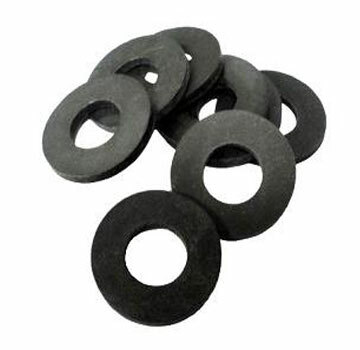 PRODUCT: 3/8" Optional EPDM Washer, 13/16" OD x .355" ID x 0.093" Thick, 70 Durometer Hardness Rubber. Made in USA with USA materials. 1000/Bag. Price/Bag. APPLICATIONS: Fits standard 3/8" screw sizes. EPDM (Ethylene Propylene Diene Terpolymer) is an excellent, low-cost ozone and weather resistant elastomeric rubber which possesses superior aging characteristics. It is also extremely effective when application requirements dictate heat resistance up to 350º F.
For construction applications where the primary hazards are ozone ultraviolet radiation and temperature extremes, EPDM is the consistent elastomeric rubber of choice. LIMITATIONS: Use of EPDM in direct contact with petrochemicals is not recommended. 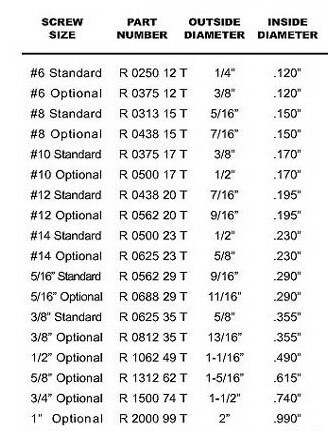 OPTIONS: Other sizes from 1/4" OD to 2" OD are available.